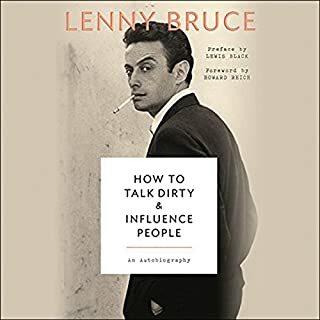 During the course of a career that began in the 1940s, Lenny Bruce challenged the sanctity of organized religion and other societal and political conventions and widened the boundaries of free speech. Critic Ralph Gleason said, "So many taboos have been lifted, and so many comics have rushed through the doors Lenny opened. He utterly changed the world of comedy." 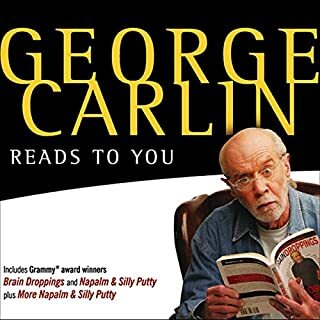 Before his death, the great George Carlin said Lewis Black was his favorite comedian out there today and books like this clearly show that Carlin was right. 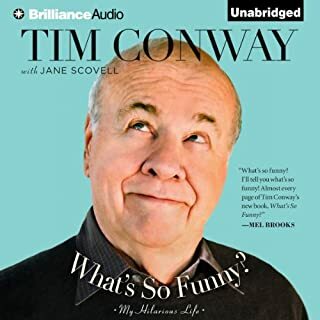 Extremely funny and Black as the narrator is great! I really like Lewis' insight, but it seems a little stretched out over an entire book. 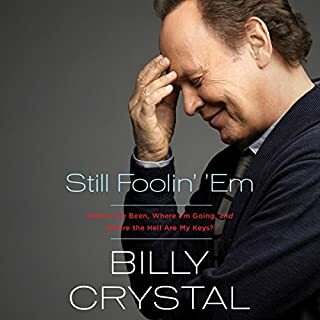 He warns at the beginning that he didn't really want to do this book with a whole "My agent says I should write a book" story. At first it seemed like just an anecdote to start the book...but then I really believed that he was doing it just for the money. Eventually, he gets into some interesting insights and commentary on modern society. But nothing really earth shattering or amazing, but somewhat amusing. The story he shares to end it was definitely the highlight for me - the real example of the meaning of the season and how it is not really tied to religion (Surprise!). His narration is fine. I don't think it would work to have anyone else doing it, but it is hard to maintain the Lewis Rage for 5 hours. As usual, Mr. Black delivers. Made me laugh, cry and think. Can't wait to start the next one! Feeds the mind and the funny bone! I watch and listen to Lewis Black whenever I can. 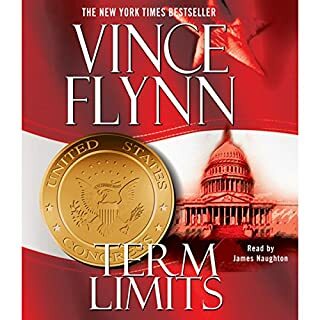 Great book, great stories and interesting viewpoints on our outrageous situation in today's world. Makes me feel a little better to listen and watch Mr. Black. Lewis Black is a funny guy. However in the introduction to the rambling and somewhat unfocussed book, he complains he has nothing to say on this subject. and he was right! This could be whittled down to an essay, the funny bits are far and few between. Many will assume that Lewis Black is a Carlin wannabe. To some extent that is true. But there is a remorse in Black.... Its hard to place, but this book brings it out more so than his previous stuff. Found that after an hour or so of listening to Lewis Black the words kind of run together. He is funny but this was a bit on the dark side. Overall A Black Christmas was insightful into the reason for the holiday as well as the more realistic side of it. Not all jolly and merry but still a reason to think over your own personal reason for celebrating the holiday. 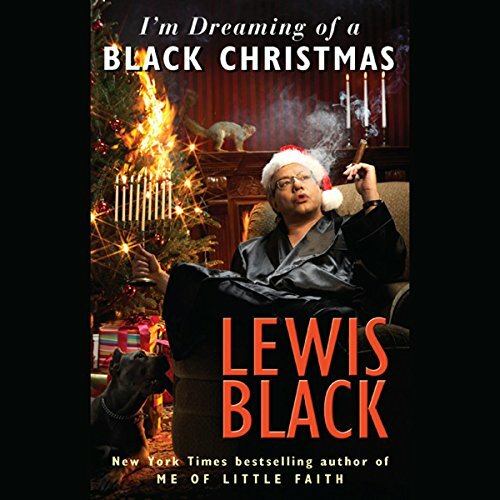 Would you consider the audio edition of I'm Dreaming of a Black Christmas to be better than the print version? yes, because the author reads and performs it. I just spent $50 to hear him live for an hour. This was $15 to hear him live for 5 hours. What a deal!!! What does Lewis Black bring to the story that you wouldn?? ?t experience if you just read the book? 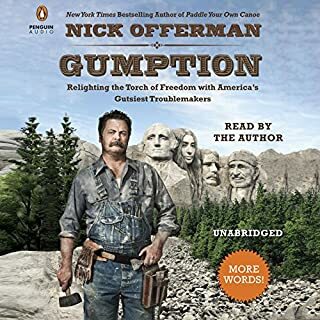 Lewis Black is one of my greatest fun times in audible purchases. Go for it!